One of the best parts of my job is when I get to sort of vicariously live through a someone's project that speaks to me as a creative person. 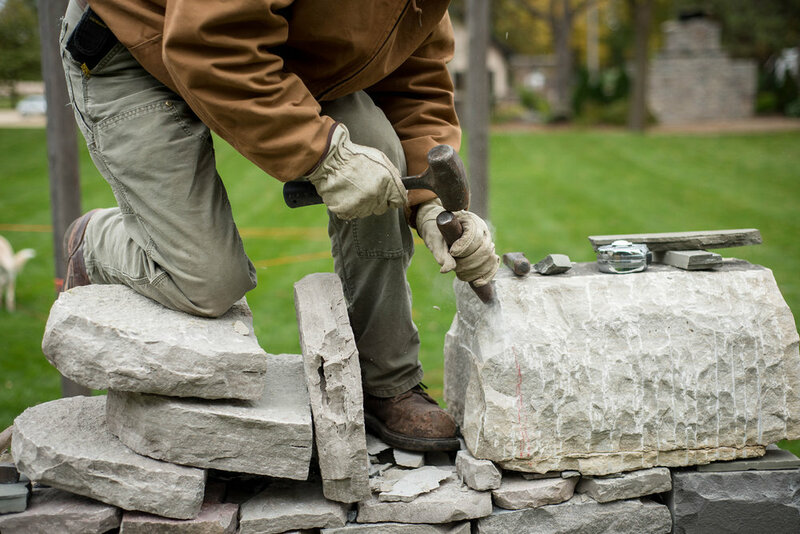 Stone masonry has always interested me, for many reasons, namely that it's the perfect blend of using one's imagination and artistry with manual labor. 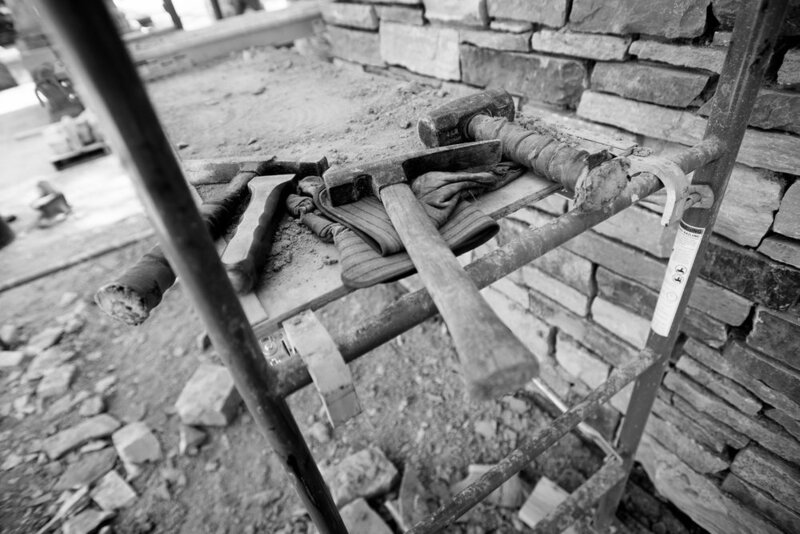 Working in stone provides the "man card" while at the same time allowing individualized expression. I know, as I have personally dabbled in stone. 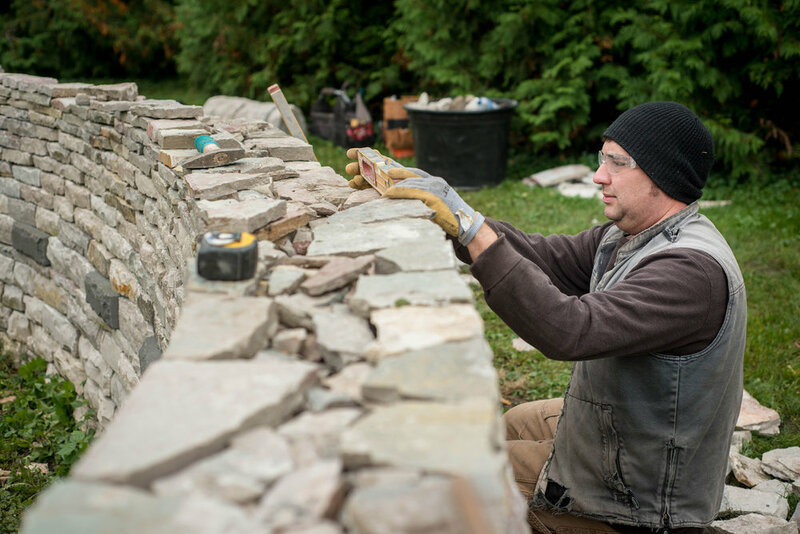 I got started out of necessity as I loved the look of stone but couldn't afford to implement as much as I'd like working on a news photographer's salary. Thus, I learned. And I learned in a very public arena — the front elevation of my home. Since then, I've done numerous fireplaces and walls, but I'm not charging for the work. I've simply done it for myself and my own enjoyment. 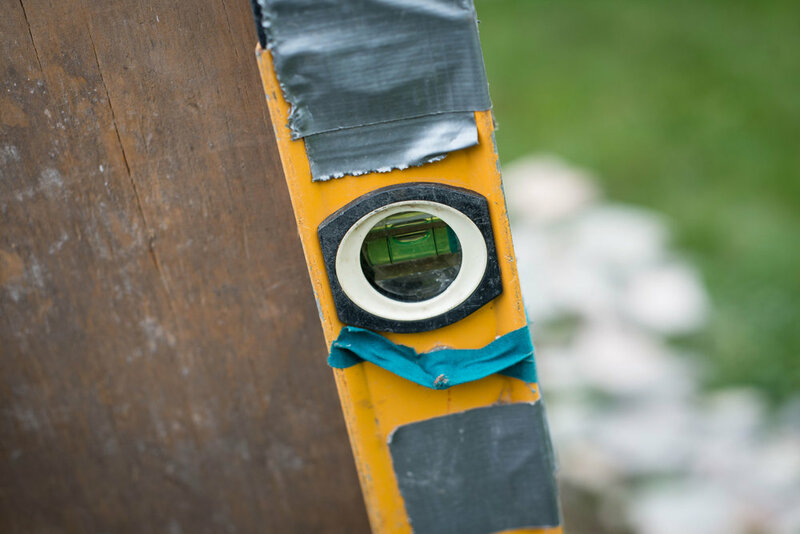 I don't dare to compare myself to someone who dedicates themselves to the craft, but I know enough to get my hands dirty and recognize fantastic work. 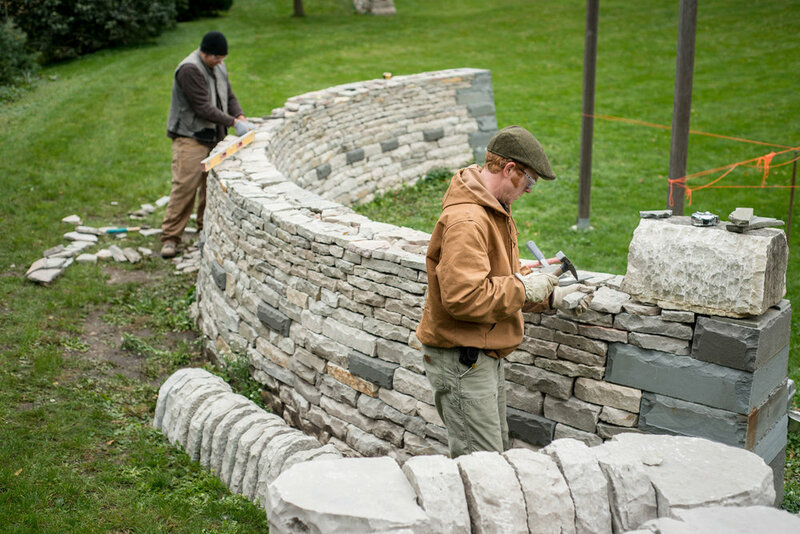 This was truly the case when I was fortunate enough to document the work of Daniel Arabella of Arabella Stone Co. Daniel Peterson of HabAdapt Landscape Design when the two created some gorgeous drystone walls to add visual anchors and privacy to the ever-evolving landscape at The Gardens of Castle Rock near Northfield, MN. You know when you watch the Daniels' work that this isn't just a profession to them. 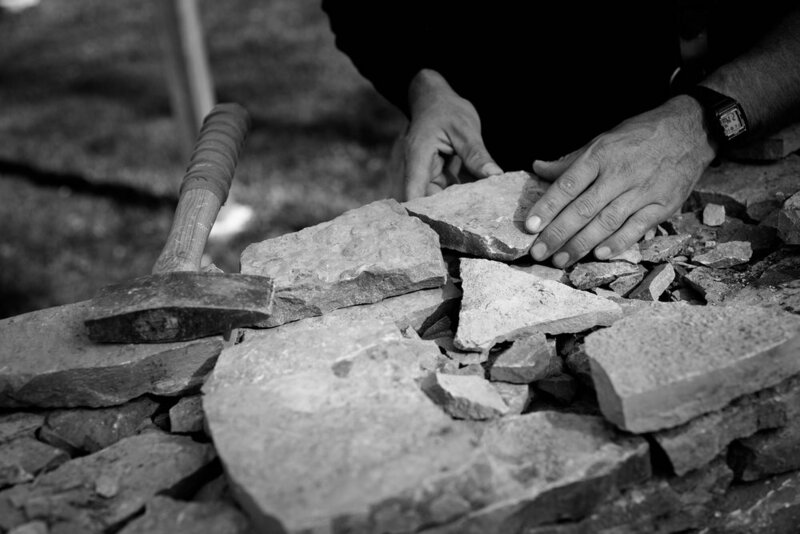 Purposeful care goes into the shaping and placement of each stone. 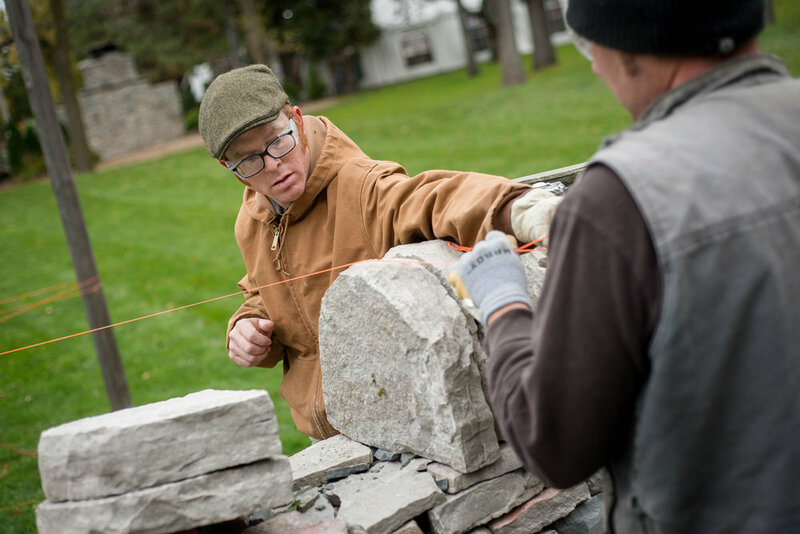 Daniel Arabella, of Arabella Stone Co. feels for the necessary stone that will find its new home nestled in a beautiful drystone wall at The Gardens of Castle Rock. 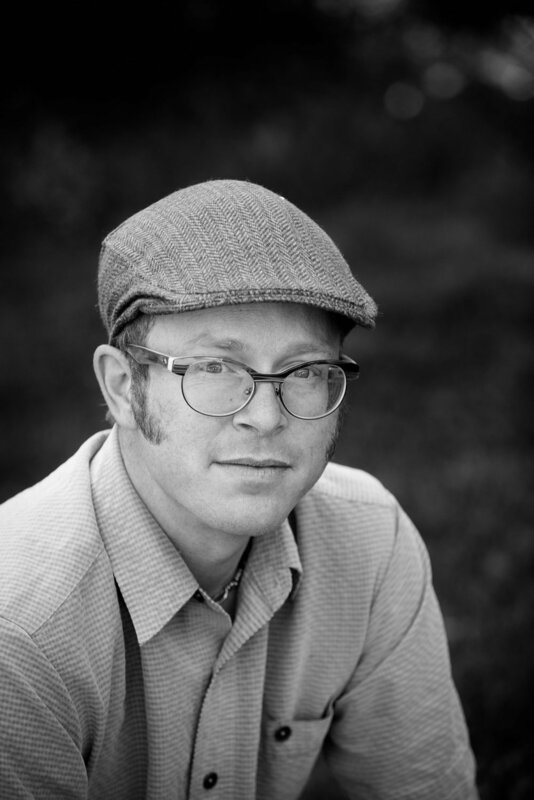 Daniel efficiently works his craft by using his sense of touch rather than his vision to discover the missing puzzle pieces. Some times they need to be slightly shaped, other times, they are a perfect match. Best of all, now you can see and experience this work for yourself. The completed walls are on display at The Gardens of Castle Rock. The 13-acre site is an amazing blend of indoor and outdoor spaces for your wedding or next big celebration of any kind. 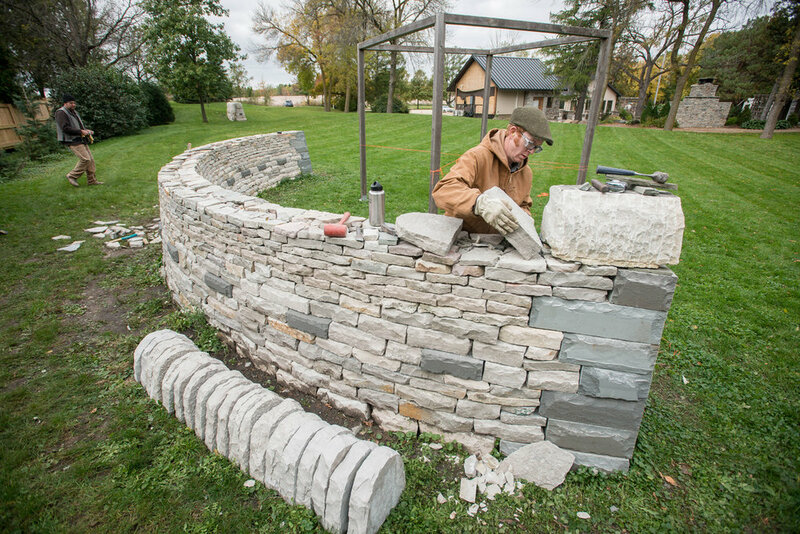 Daniel Peterson of HabAdapt Landscape Design places a coping stone on an arched, drystone wall that serves as a grounding structure to "The Cube" pergola ceremony site at The Gardens of Castle Rock.